The Chicago Riot (2-6) faces the Milwaukee Wave (7-3) at 6 p.m. Saturday at the U.S. Cellular Arena. Chicago hopes to build off the momentum following a thrilling, come-from-behind victory over the Baltimore Blast, 14-12, last Sunday. Read the full preview at ChicagoRiotSoccer.com. Chicago Riot goalkeeper Ante Cop netted a fourth-quarter game-winner, assisted a goal and added 22 saves -- including one in the final second -- to lead Chicago to a 14-12 win over the Baltimore Blast on Sunday in Major Indoor Soccer League action at the Odeum Sports and Expo Center. CLICK HERE for the full game recap. On Monday, the league rewarded Cop's performance by naming him MISL Player of the Week. 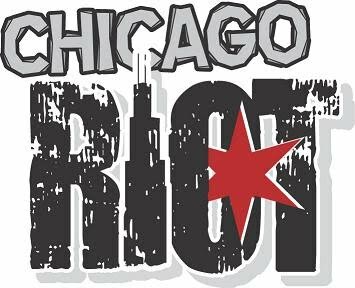 For the latest on the Riot, visit ChicagoRiotSoccer.com. The Chicago Riot hosts the Baltimore Blast for the first time this season at 7 p.m. Sunday, Jan. 16, in Major Indoor Soccer League play at the Odeum Sports and Expo Center in Villa Park, Ill. The Riot (1-6) begins a four-game stretch where the team faces either Baltimore or the Milwaukee Wave, the top two teams in the current MISL standings. In the only other meeting between the two sides, the Blast defeated the Riot, 10-6, on Nov. 19 at 1st Mariner Arena in Baltimore. Chicago is coming off a 13-11 loss to the Omaha Vipers on Jan. 9 at the Odeum. "We've got to keep barreling through this," Riot Head Coach Jeff Kraft said of the team's slow start. "We sneaked in a win at K.C. [against the Missouri Comets], and I really believe we can make a run at this." Read the full story at ChicagoRiotSoccer.com. For game notes, CLICK HERE. Ante Cop takes over starting goalkeeper duties this Sunday for the Chicago Riot with regular starter Jeff Richey out with a hamstring injury. Check out some photos from Suburban Life Publications as they dropped by the Chicago Riot's Jan. 9 game against the Omaha Vipers. Next up for the Riot is a 7 p.m. match on Sunday, Jan. 16, against the Baltimore Blast at the Odeum Sports and Expo Center in Villa Park, Ill. The Chicago Fire selected North Carolina defender Jalil Anibaba with the ninth overall pick at the 2011 MLS SuperDraft on Thursday at the Baltimore Convention Center. Chicago also chose forward and Elmhurst native Jason Herrick (Maryland, 45th overall) and forward Davis Paul (California, 51st overall) in the third round. The Fire traded their 49th overall pick to Toronto FC in exchange for goalkeeper Jon Conway. Anibaba joins a vastly changed Fire defense, so the opportunity is there for the 22-year-old native of Davis, Calif., to step up into an immediate role on the back line. During the offseason, Chicago acquired Cory Gibbs in the re-entry draft and signed Josip Mikulic earlier in the week as the Fire try to overcome the losses of C.J. Brown to retirement and Wilman Conde who signed with Atlas. "Ultimately, that's the coach's decision," Anibaba said of whether he would get the opportunity to start right away. "I'm going in with an open mind and will contribute in any way possible. I hope I can fit in well. That's the hope for all players. I'm just excited to get started, and if I have the opportunity to step in, it will be an honor." "He can play center back, right back ... he's a good athlete, a good technical player," Fire technical director Frank Klopas said. "He's got a lot of upside. I think he can have an impact right away. We expect him to be able to compete for a starting spot." Read the full post and analysis at ESPNChicago.com. The Chicago Fire have plenty of work to do in molding the pieces for their 2011 squad, and one outlet is through this Thursday's MLS SuperDraft at the Baltimore Convention Center (11 a.m. CT start, televised on ESPN2). "We've lost players in every line, so we need to address all three areas," Fire technical director Frank Klopas said. "Depending on who is selected before the ninth pick, that can dictate whether we'll pick in the front or the back. There are a lot of good players, and we've seen them play live, even before coming to the combine." In this year's draft, the Fire have the ninth overall selection in the first round and also have three picks in the third round (45th, 49th and 51st overall). With a top-10 pick, the Fire should target the offensive side of the ball with their first selection. Brian McBride retired, the Fire parted ways with Collins John, and aside from McBride's meager six goals, not a single Chicago forward contributed more than three goals during the 2010 season. Akron forward Darlington Nagbe is considered the top attacking option in this year's draft as he and Akron midfielder/defender Perry Kitchen are expected to be the two top selections. Indiana's Will Bruin also could be out of the Fire's reach. 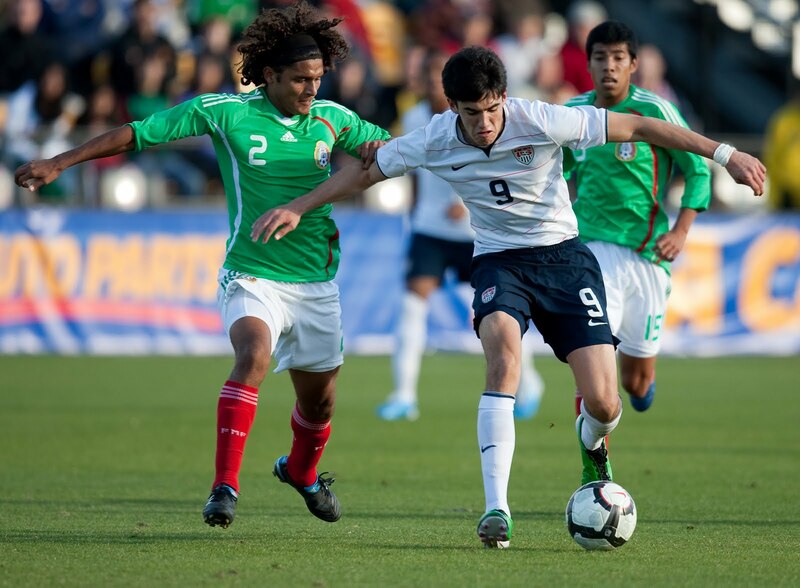 But there is a possibility that Omar Salgado (U.S. U-20s, pictured above), Corey Hertzog (Penn State) or Victor Estupinan (Liga de Quito) could be available for the Fire's taking. • On Wednesday, the team named Leo Percovich as its new first assistant coach, taking over the position previously held by Naperville native and U.S. U-18 men's national team head coach Mike Matkovich. For more about the Fire, visit ESPNChicago.com's Fire blog. On Tuesday the Fire signed defender Josip Mikulic and officially announced the signing of midfielder Daniel Paladini. Mikulic is a 24-year-old central defender from Croatian side NK Zagreb. He played in 48 games and 3,348 minutes for the past five seasons. "Mikulic is an athletic player with good feet, a focus on defending and strong presence in the back," Fire technical director Frank Klopas said in a team statement. "He comes to the Fire from a professional environment and has a number of years experience in the Croatian First Division. He is focused on defending and committed to winning." 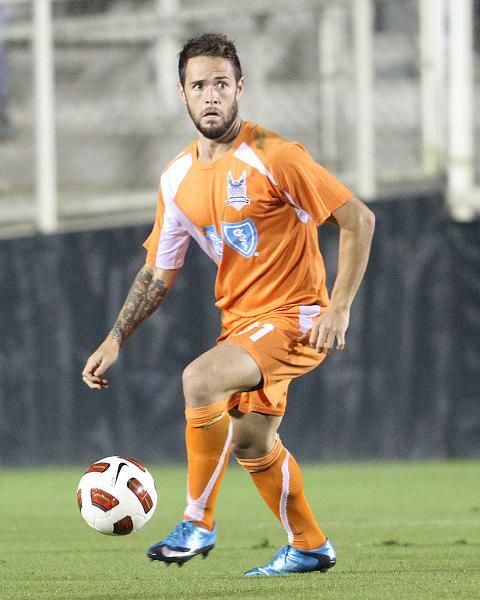 The Chicago Fire are signing midfielder Daniel Paladini, who is transferring from the Carolina RailHawks of the USSF Division 2 Professional League, RailHawks club officials announced Monday. Paladini was a 2006 MLS Supplemental Draft selection of the Los Angeles Galaxy. 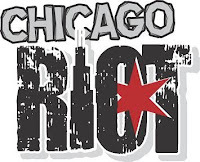 VILLA PARK, Ill. -- The Chicago Riot posted a late rally but fell to the Omaha Vipers, 13-11, on Sunday in Major Indoor Soccer League action at the Odeum Sports and Expo Center. In the fourth quarter, the Riot's Fred Degand (pictured) posted a power play goal and Eric Duda netted a three-pointer to cut a seven-point deficit to 13-11. But in the closing minute, the Riot's deep shot attempts either were turned away by Vipers goalkeeper Jose Bontti, or the team missed the goal frame. Bontti made a game-high 24 saves for Omaha. Riot goalkeepers Jeff Richey (six saves) and Ante Cop (10 saves) split time in the net after Richey left the game with a leg injury. Richey surpassed 800 career saves and sits at 801. Next up for the Riot is a 7 p.m. match on Sunday, Jan. 16, against the Baltimore Blast at the Odeum. For the full recap, visit ChicagoRiotSoccer.com. INDEPENDENCE, Mo. 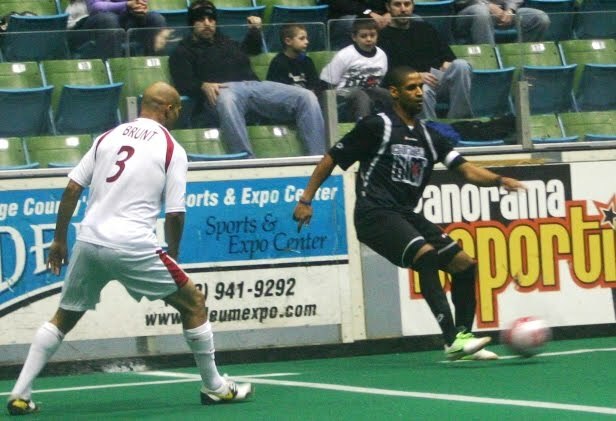 (Jan. 7, 2011) -- The Chicago Riot fell to the Missouri Comets, 11-9, in overtime Friday in Major Indoor Soccer League play at the Independence Events Center. Jamar Beasley's goal at the 4:08 mark of the sudden-death overtime boosted the Comets (3-6) toward their first home victory of the season. The Riot fell to 1-5 overall. "We're keeping every game close, but you can only lose so much without getting frustrated about it," Riot Head Coach Jeff Kraft said. "It's one of those things where the Comets scored when they needed to in overtime. It was a hard-fought game." 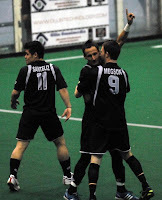 Four different Riot players netted goals -- Eric Duda, Alex Megson, Novica "Novi" Marojevic and Andre Berenzon. Novi's three-pointer was part of a 7-0 run that gave Chicago a 7-4 lead in the third quarter. 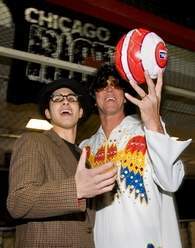 Check out Jamie Sotonoff's article in the Daily Herald as he brings up the Chicago Riot's "Elvis Night" taking place this Sunday at the Odeum Sports and Expo Center in Villa Park. Daily Herald photographer Daniel White also dropped by to take some photos of an Elvis Presley-clad Riot head coach Jeff Kraft, and Elvis Costello-wannabe Marco Sullo.